ICON Engineering is an ISO 9001:2008 certified firm established over 16 years ago, ICON brand has been adopted by multinational organizations including FORTUNE 500. We can design, manufacture and supply cranes suited to customer application. In this array, we offer Traveling Jib Cranes, Single/Double Girder Cranes, EX (Explosion Proof) Cranes & Hoists, Cantilever Jib Cranes, Goliath Cranes, Ladle Cranes, Extended Trolleys and Hoist with Flexible Trolleys. 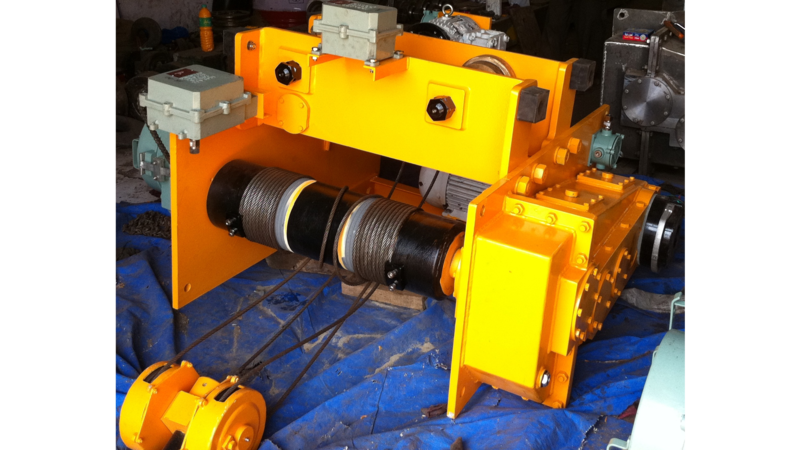 Along with these products, we offer Fixed Mounted Hoists, Twin Hoists On Monorail Trolleys, Crab Hoists, Girders, Grab Buckets, Coil Tilter, Transfer Wagon / Car, special purpose equipment, etc. We also offer cranes spares and accessories such as Micro Speed Attachments and Icon Gear Boxes. These equipment are made by using optimum quality machinery and latest technology, sourced from the credible vendors of the industry. In addition to this, with due consideration,we fabricate offered equipment in adherence to internationally laid quality standards and norms. The equipment that we offer is widely recognized for their outstanding features, such as reliable functioning, durable finish standards, and resistance against rust, longer service cycle, robust construction and high load bearing capacity. The offered product array is provided to patrons in different specifications, with an aim to meet the varied requirements of patrons. 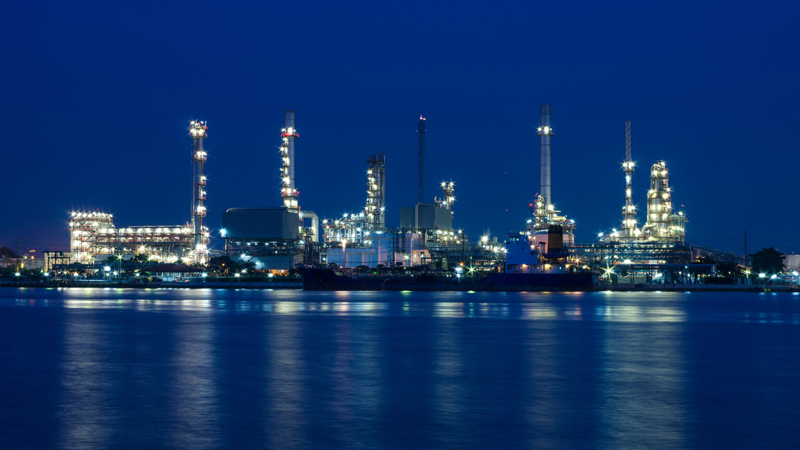 We are an experienced company engaged in manufacturing and trading a wide range of Cranes. In this array, we provide Wall Travelling jib CranesWall Travelling Jib Cranes, Single Double Girder Cranes, Underslung Bridge Cranes, Ladle Cranes, Grabbing Cranes and Goliath Cranes. The offered cranes are manufactured under the presence of professionals using high quality metal, modern machinery and ultra modern technology installed at our sophisticated infrastructure. Post fabrication, we check cranes at our testing unit so as to ensure these are able to bear heavy load and serve patrons for long. hoist. 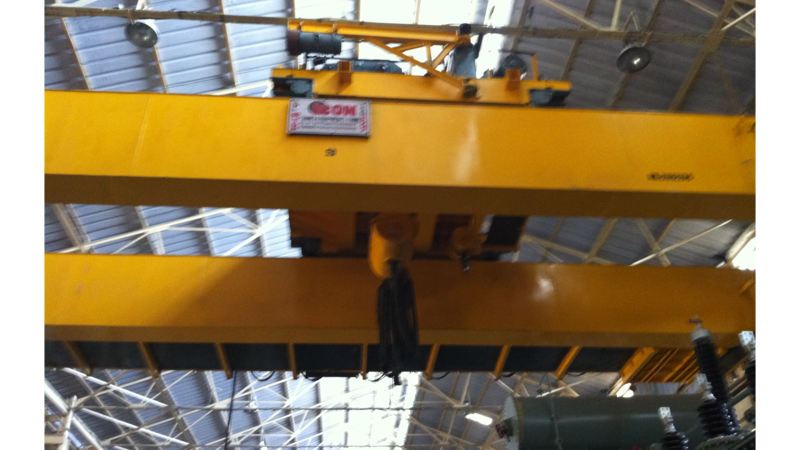 Offered range of cantilever cranes are single girder or double girder type. These cranes are high in demand as they offer a large area coverage without creating any obstruction on the floor. We are an eminent company engaged in offering our prestigious patrons a wide range of Single and Double Girder Cranes. Offered girder cranes are used in heavy industry for lifting and transporting the heavy load and wide spans, such as loads over 50 T and for span of more than 25 m. We manufacture double girder cranes using ultramodern machines and install with two torsion-free box girder so as to make these suitable for loading heavy load. In addition to this, we also test these girder cranes at our testing unit so as to ensure quality. For low headroom areas and to increase the overall use of space, the clients opt to use a underslung crane design. Icon offers a wide range of underslung cranes in flameproof and standard construction for a variety of clients globally. We also offer design and engineering requirement for any special modification requirement for such cranes, e.g. longer overhang on one side of the crane, etc. For transporting hot metals, special safety precautions have to be taken for designing Ladle cranes. Most critical components have built-in redundancy such as a double service brakes on primary shafts, and backup brake acting on the rope drum. Such redundancy thay is built in helps to continue limited crane operation to avoid dangerous situations. These cranes are very popular in the steel industry and have performed extremely well in extremely stringent situations. A Grab cranes is a typical requirement for professional bulk handling. These cranes are high in demand for Coal, ore, scrap, gravel, sand, fertiliser, sugar, cereals the handling of such bulk goods. Such cranes can also be versatile in nature, since the cranes can also be used for handling other materials. Also, the grab types can be perfectly tailored to the respective application for the various industries. Goliath cranes can be used inside where the existing structure is not adequate for additional loading or free standing steel work is not possible. More commonly they operated outside in stack yards, assembly and loading areas. We have successfully offered Goliath cranes in excess of 25 T capacity and 40 M spans for leading organizations. Our cranes are known for their quality of construction which leads to an overall longer life for the crane and more satisfied customers. With our expertise in this domain, we are able to manufacture and trade an unparalleled range of Hoist . Under this array, we include Elecric Monorail Hoists and Flameproof Hoists. We offer these hoists to our patrons in different specifications, such as with single & twin hoists units, with micro speed arrangement, wall mounted, floor mounted and ceiling mounted. Offered hoists trolleys are used in heavy industries for loading & unloading transportation vehicles and for serving production machinery. We offer a large range of hoists – from 0. 5 t to 50t in accordance to various requirements of the vendor. The hoists offered as in a 2 fall / 4 fall / 8 fall configuration depending on client requirements and hoist capacities. Tried and tested over many years in critical and rugged industrial applications icon electric wire rope hoists are available in flameproof & non flameproof construction. The Flameproof hoists offer a special fail safe brake design that acts on the first stage of the gearbox shaft. This ensures brake operation, even if the motor is removed. Our hoists also have a true vertical lift without horizontal hook drift throughout the hoisting. Manufacturer & Trader of Grab buckets. We are offering high quality products which are available at market leading prices. All our products are extensively used in construction and excavation projects such as mining. 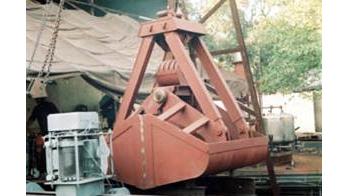 We are engaged in offering a wide range of a reliable range of Grab Buckets. These are designed using excellent quality components with contemporary technologies. The products we are offering are used to carry material in bulk amount from one place to another. Patrons can avail these products from us in varied sizes, capacities and designs as per their requirements. We are engaged in offering a range of Crane Accessories, which can be utilized to increase the productivity of existing cranes. Like our range of cranes, these accessories are fabricated from high grade raw material that ensures the durability, sturdiness and enhanced service life. The gear boxes for cranes are strictly designed in accordance to IS 3177 and IS 4460. The gear box casings are fabricated out of steel confirming to IS 2062-Gr B. The gear box casings are stress relieved after fabrication. The gear boxes are of spur/helical design. We can offer you gear boxes having input/ output shafts at right angles with the use of helical gears. The hardness of gears is 180-210 BHN and that of pinions 200 - 260 BHN. Suitable breathing hole, oil level indicator, drain plug and inspection window with cover is provided for all gear boxes. At times, due to stringent client requirements for a crane or hoist, a special purpose gearbox needs to be designed with non-standard centres and HP ratings. We specialize in manufacturing such gearboxes and have used such in many of our projects for special purpose material handling equipments. This door opening/closing mechanism handles an overall weight of 400T and is used for enclosing a X-Ray facility. This mechanism also has to operate accurately in order to seal off any possibility of X-ray leakage. We supply a variety of coil tilters. We use high grade quality of raw materials in manufacturing these machines. 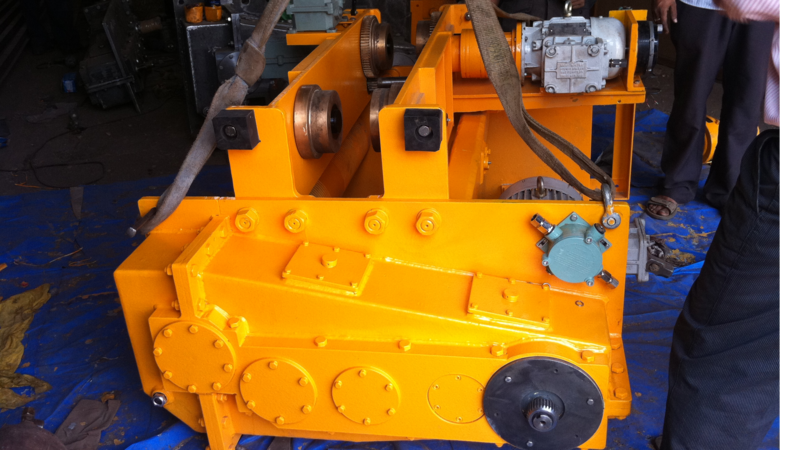 This machine has a hydraulic unit which is used to change the position of the coil. We use high quality of iron or steel which has high resistance power and has long lasting nature. We design these based on the specifications, dimension given by our customers. We ensure proper delivery of products and achieve good response customers.